Foundations Technology Academy hosted a two-day webinar under the aegis of Trevi Group Academy on May 16-17, 2018. The event attracted 58 people from Trevi Group global network in North (USA) and South America (Colombia, Argentina, Venezuela), Europe (Sweden, Norway, Austria), Middle East (Iraq, Kuwait, Saudi Arabia, Turkey, UAE), Africa (Algeria, Nigeria), Australia and the Philippines. 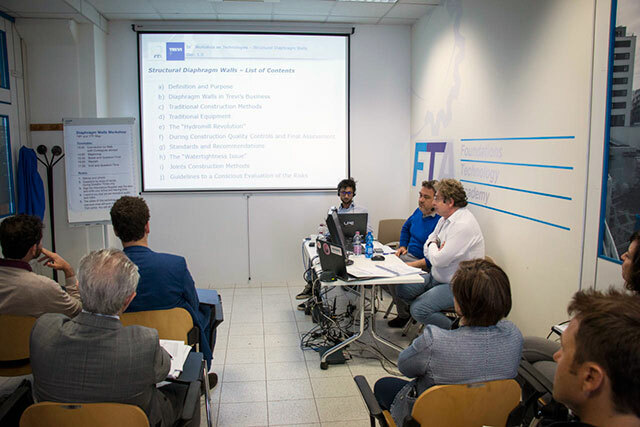 The webinar was broadcasted live connecting 22 students in the FTA headquarters and 36 participants overseas. 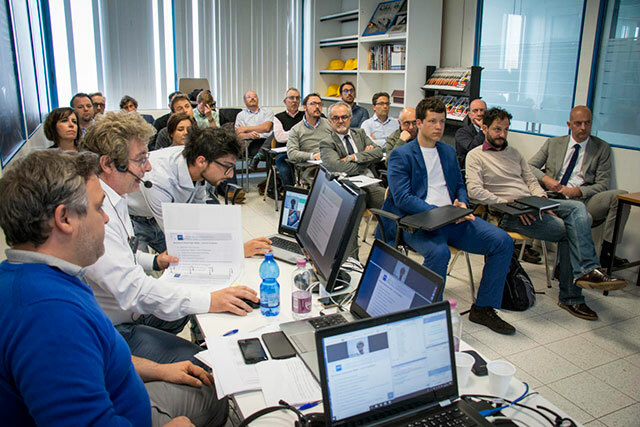 The course was set-up by Tommaso Gondolini, FTA Technical Training Specialist and presented by Bruno Vingiani, Trevi Technical Advisor on Design, Research and Development. The program was focused on diaphragm wall construction methods, including excavation techniques by grab and hydromill. The training material was supported by multiple case studies as the best lessons are learned through experience. The presentation effectiveness was enhanced by online discussion forum. Lively Q&A session increased students motivation providing new avenues for exploration and discovery. The webinar has been recognized as an excellent way to distribute knowledge while building collaborative strategies for greater student learning.